30 May 2013/Kiel. Marine turtles are among the most endangered species of the world ocean. For a better protection of these fascinating animals, scientists try to understand why turtles return to their birthplace in order to reproduce after rather long distance migrations. Using molecular tools applied to turtles from the Cape Verde islands, scientists from GEOMAR Helmholtz Centre for Ocean Research Kiel (Germany) found that males and females adopt different strategies: while females are very faithful to their island of birth, males appear less selective and mate at multiple locations. Furthermore, the study published now in the “Proceedings of the Royal Society B: Biological Sciences” demonstrates that females from different islands have different immune genes, suggesting that returning home to reproduce is linked to advantages in parasite resistance. This is the first evidence ever to explain why many migratory animals show this type of behavior. Worldwide, over 15,000 species are threatened by extinction, and the loggerhead sea turtle is no exception. Once the mysteries surrounding some of the species behavior are resolved, more effective conservation programs can be developed to facilitate their protection. The case of the loggerhead sea turtle is particularly interesting: Why do they migrate for several thousands of kilometers to eventually come back to their place of birth for reproduction after roughly 25 years? 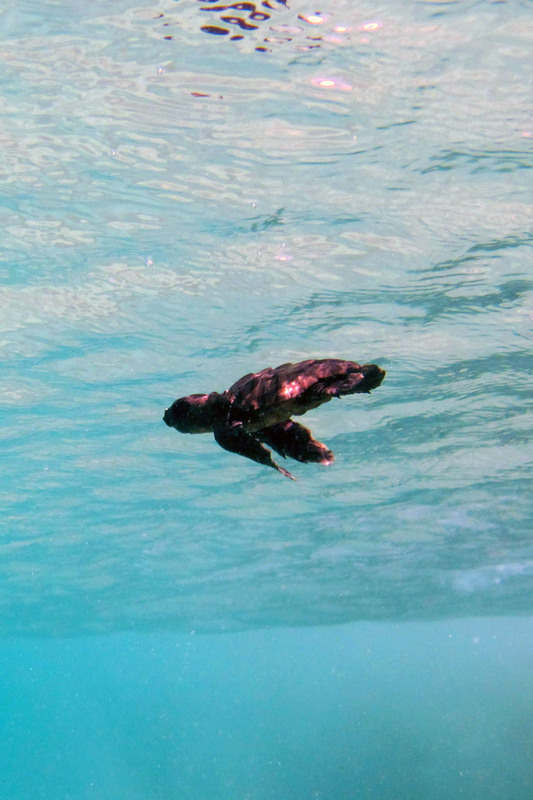 To address this question, a group of evolutionary biologists from GEOMAR Helmholtz Centre for Ocean Research Kiel focused on the world’s third largest nesting population of the loggerhead sea turtle which is found in the archipelago of Cape Verde. Despite the fact that the species is protected, the number of nesting turtles has been decreasing rapidly due to the slaughter of turtles for their meat, marine pollution, coastal development in nesting areas and fisheries by-catch. Hence, the loggerhead turtle has the “endangered” status on the Red List of Threatened Species (IUCN 2012). The archipelago of Cape Verde is composed of numerous islands where turtles can be observed. In this study, GEOMAR scientists collected tiny skin samples from turtles on four different islands of the archipelago for analysis. 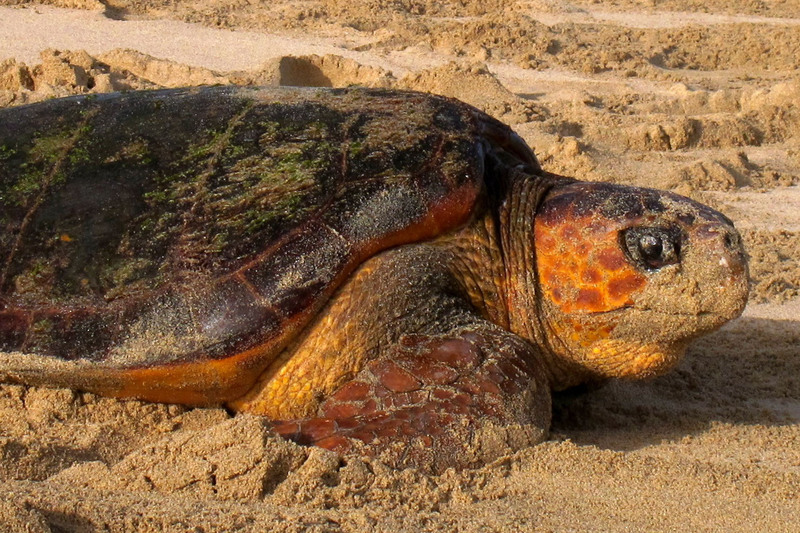 Using multiple genetic tools, the scientists found that Cape Verdean female loggerheads not only return to Cape Verde to breed but also that they show a remarkably accurate philopatric (returning to reproduce at the place of birth) behavior of a couple tens of kilometers: “It was fascinating to demonstrate that most female turtles actually return to the exact island where they were born”, said lead author Victor Stiebens. This outstanding behavior has some advantages for the turtles. The study found that a certain region in the turtle’s genome is responsible for fighting parasites and diseases, the so-called major histocompatibility complex. “Indeed, the study shows that turtles nesting at the most distant islands of the archipelago have different sets of these genes, providing the right genetic make-up to pass to the offspring to fight off the local parasite fauna present in that specific place”, explains senior author Dr. Christophe Eizaguirre. At the same time, always returning to the same island may have detrimental effects for species with small population sizes since it may lead to mating with relatives, i.e. inbreeding. However, it was rather interesting that in this study, the scientists were able to show that males counteract this inbreeding risk by being less selective in choosing their mating places. “Males seem to look for females over large regions of the archipelago, whereas females are more faithful to their place of birth to mate” reports Victor Stiebens. “These gender-specific behaviors assure genetic transfer between the nesting islands but also the existence of genes needed in these local environments” says Dr. Eizaguirre. The conclusions of the study show that returning home to reproduce gives individuals an additional advantage to fight off parasites and diseases, and may thus add a piece to the puzzle of the intriguing journey of marine turtles. “From a conservation perspective, the results suggest that it is very important to not lose any of the nesting colonies as each singular location provides important genetic adaptation for the survival of the entire population in the case of major biotic/abiotic changes in a globally changing environment”, says Dr. Eizaguirre.